We chat to CEO Rockwell Shah of Pzizz, a veteran sleep-tech company that promises 'sleep, at the push of a button'. The dawn of the internet in the mid 1990’s signalled the start of a new digital economy. It brought unsurpassed innovation, new opportunities and changed the world forever. But along with the success stories came monumental failure – tech companies that were fated for greatness but instead fell spectacularly onto the scrapheap. Anyone remember AltaVista, Myspace or Napster? Sadly, it seems the rapid rise and demise of tech firms is the norm rather than the exception. Some experts have estimated that over 90% of startups end up failing within their first 3 years. 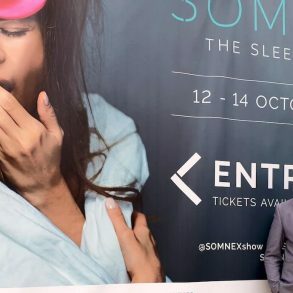 Which is why, when I learnt about Pzizz – a technology firm that helps to promote ‘sleep at the push of a button’ – I was slightly amazed to hear they existed long before the term ‘google’ became an everyday verb. 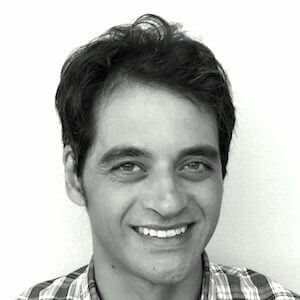 Pzizz, a pioneer in the sleep technology space, started out making hardware MP3-player devices, loaded with a combination of music, sound effects and voice-over tracks. 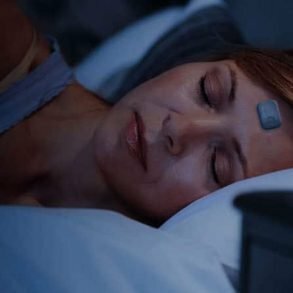 Featuring original compositions, binaural beats, and neuro linguistic programming (NLP) techniques, Pzizz’s proprietary algorithm created an unlimited variety of personalized soundscapes to promote relaxation, power-napping and better sleep. Over the years Pzizz’s reputation grew, gaining some seriously high profile fans along the way, including celebrities, elite athletes and even the late Steve Jobs. 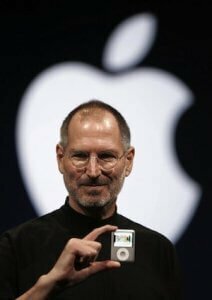 However, in a somewhat ironic twist, both the iPod and the iPhone killed off the market for MP3 players, and Pzizz pivoted away from hardware into desktop and smartphone software. Fast-forward to 2017 and Pzizz has a brand new app, with many new innovations and testimonials from celebrities including Harry Potter author J.K Rowling and NBA Star Roy Hibbert. 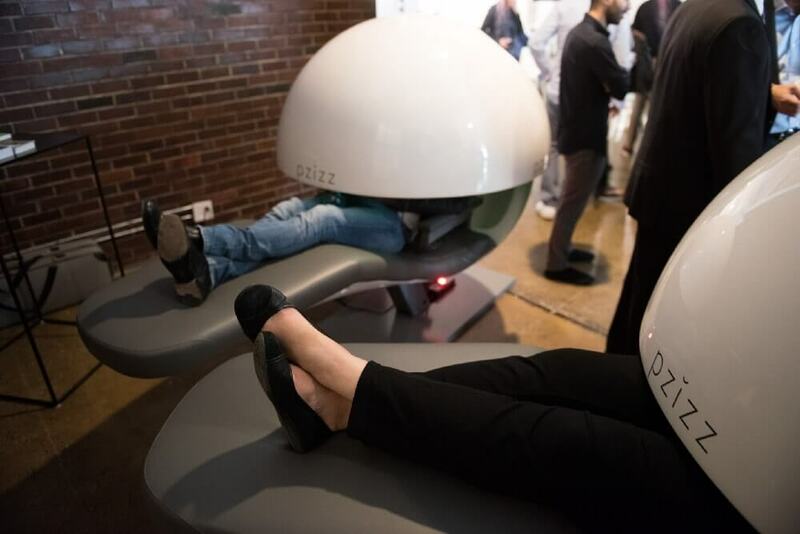 Although Pzizz never really went away, the company is staging a phoenix-like rise from the ashes, to position itself as a smart, non-pharmacological way of dealing with insomnia, fatigue and relaxation. We spoke to CEO Rockwell Shah about the technology and background to Pzizz to find out more. Jeff Mann (JM): Hi Rockwell.thanks for taking the time to speak to Sleep Junkies. For those unfamiliar with your product, can you give us the elevator pitch for Pzizz? Rockwell Shah (RS): The vast majority of cases of people suffering from poor sleep are caused by a disease called “too much thinking;” people lie awake at night unable to shut off their brains. So the key is, if you can quiet someone’s mind, you can get them to fall asleep. That’s what Pzizz does. 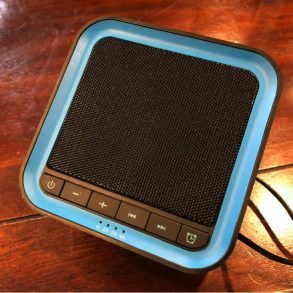 Our patented system combines a sleep-optimized mix of music, voiceover, and sound effects that changes each night, that quickly quiets your mind, puts you to sleep, keeps you asleep, and then wakes you up feeling refreshed. We’re combining the science of psycho-acoustics, clinical sleep hypnosis, and personalization through learning algorithms. It’s wild, and incredibly effective (for most people). In fact, our iOS and Android apps have helped over 500,000 people from around the world get the best sleep of their lives. JM: Pzizz has been described as a ‘comeback kid’ because the company has been around for a long time. Is it fair to say the original incarnation of the technology was ahead of its time? RS: Way, way ahead of its time. 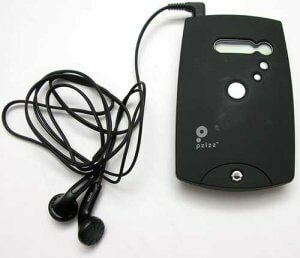 Pzizz first started developing musical sleep hardware in 1999 (that’s two years before the original iPod was released). Eventually it transitioned to desktop software and then mobile apps. But it’s only really recently that technology has developed far enough for us to start fulfilling the broader vision at scale: to create real-time, self-optimizing music to help you based on how your body is responding to the sounds. A truly ‘personalized pzizz.’ First for sleep, but eventually for other activities as well (‘focus’ being the next most requested). We’re not there yet, but we’re well on our way to fulfilling that dream. JM: How does the new app differ from previous incarnations of Pzizz? RS: We spent a lot of time interviewing users, doing surveys, and gathering product feedback. We created the “Pzizz Pioneer Program” (affectionately dubbed the Pzioneer Program; yes, we’re dorks) as a beta testing channel, which had over 1000 users from around the world help us vote on the future of Pzizz and do comprehensive beta testing. all new ‘Dreamscapes’ (music) to listen to! Ten times more! With more added every month so that every time you use Pzizz you’ll have a distinctly different musical experience right from the beginning. 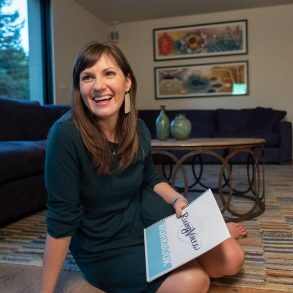 female voiceover for those nights where the dude just isn’t doing it for you! JM: We like the idea of ‘sleep, at the push of a button’, however insomnia covers such a wide spectrum, from mild to chronic cases. Where does Pzizz fit into the broader, new era of digital health products and services? Almost all of us can relate. We’ve been there, and experienced this. What I don’t think most people realize is that this happens at a huge scale to lots of people around the world, regardless of age, race, gender, religion, country, you name it. Some people deal with it all the time, some people only occasionally. That’s where Pzizz can help. If you’re stressed out, dealing with a lost love one, have an overactive imagination, worried about passing the next exam, whatever it is, we can be there for you. We’ll help you take your mind off those things, and unlike medications, our only side effect is sleep. JM: Pzizz combines a lot of different methods to help you fall sleep – music, speech, sound-effects, binaural tones. 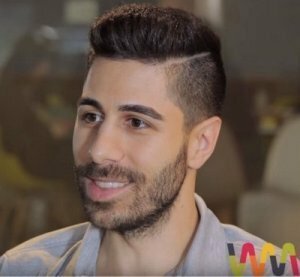 How does Pzizz differ from ‘white noise’ type apps, is it all about the algorithm? RS: White noise, or any type of basic noise in general, is really just a simple starting point; it’s like the twinkle, twinkle little star of sleep sounds. There’s so much more that you can do. At Pzizz, our audio engineers work with our researchers to create these beautiful “dreamscapes” based on academic psycho-acoustics (the study of sound perception and its physiological effects). We pair these musical dreamscapes with voice scripts based on clinical sleep hypnosis, progressive relaxation, breathing exercises, and storytelling; and then infuse the whole system with personalization driven through our learning algorithms. Dreamscapes have four sections: an ‘introduction’ which captures your attention enough to calm your mind; a ‘falling’ sequence (short for falling asleep) that draws you deeper and deeper into sleep; a ‘sleeping’ sequence that keeps you asleep; and a ‘waking’ portion that takes three and a half minutes to gently bring you back up from slumber. By default, Pzizz’s algorithm will mix and match different sections from different dreamscapes to give you a unique experience each time, which is very important in ensuring Pzizz stays effective over time. Anyone who’s interested can read more about the science behind Pzizz on our blog’s science section. JM: I was impressed by the scientific research that’s been carried out on Pzizz. Can you briefly tell us some of the outcomes of the studies carried out on your technology? RS: Indiana State University conducted an experiment with Pzizz comparing it to other relaxation-type soundtracks. They wrote a paper of the results in the Cognitive Technology Journal that showed Pzizz was statistically-significantly more effective at improving well-being measures across the participants. Part of our effectiveness stems from the fact that we constantly keep track and are influenced by the results of other experiments happening around the world; we sift through tons of research improving our own understanding of what and why things work, so we can test it and bring it to scale for our Pzizzers. This, along with our own internal experimentations keep Pzizz pushing forward on the cutting edge of sleep. JM: We’re big fans of the magical power of napping at Sleep Junkies. How can Pzizz help with daytime naps? RS: Pzizz has a nap module that has been described as “magical,” but you don’t have to take my word for it. Check out what users on Twitter have to say about Pzizz and naps. One of the great things about the nap module is you can set a custom nap duration to tailor your napping to the amount of time you have available. Just choose your time and we’ll do the rest. You’ll wake up refreshed, energized, and ready to tackle the rest of your day. JM: What do you see for the future of Pzizz, and in general for consumer sleep technology products? RS: Broadly I think we’re seeing wearables and sleep tracking apps hitting a stumbling block. Most people don’t want to wear things while they sleep. And the accuracy can be really misleading, especially with the current generation tech, which can cause people to pull out their hair trying to figure out why this darn app is telling them they slept terribly when they feel fine. I think people are also getting tired of technology telling them over and over again that they aren’t enough; they didn’t exercise enough, didn’t sleep enough, didn’t meet their goals. The next step is really for technology to help bridge that gap; don’t just tell me I’m not sleeping well, actually fix my sleep. Unlike most, Pzizz has actually been doing the fixing part for a long time, but now we’re working on developing an incredibly accurate technology that can detect your frequency of breath and heart rate without touching you, without a wearable, using just the tech on your phone. We’ll use that to optimize Pzizz for you and show you in depth details about how you slept. We’ve also gone beyond the app. 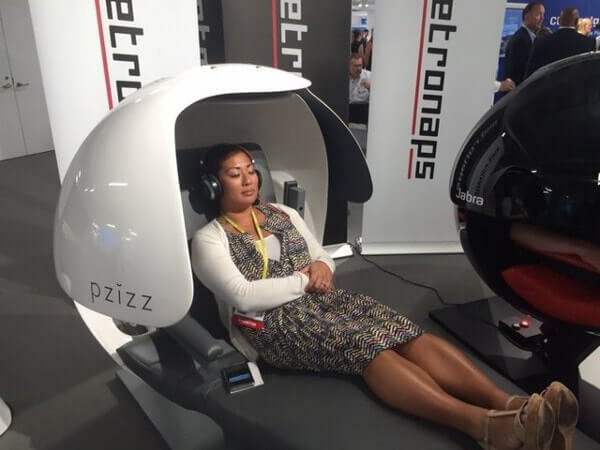 We’re integrated into thousands of corporate nap pods from around the world in Google, Mercedes, Zappos, they’re even at JFK airport and London Luton. We’re in Merck Pharmaceuticals corporate wellness program (think about that, Merck, a pharma company uses us!). Doctors are already on the ground prescribing Pzizz to their patients. We’re in talks with airlines to bring Pzizz to planes. Everywhere you need to get sleep, we want to be there for you. Outside of sleep, we’re also experimenting in other areas where sound can help you. You can checkout our popular “Focus” tracks on our Soundcloud, which will be the next Pzizz module that we build. To find out more head on over to pzizz.com to download the app for Android and iOS devices.